Nikon decided to use the Consumer Electronics Show as the vehicle for their first product announcements of 2016. CES is best known as the debut site for new electronics and another four million iPhone cases, not so much for photography and video. Still, Nikon made some pretty distinctive announcements that tell us about the company direction and give us a sense of what they see coming up. There were four major announcements. The new professional camera, the D5, a long awaited replacement for the semi-pro D300s called the D500, the KeyMission 360 Action Camera and Snapbridge image sharing. There were also a number of smaller expected announcements including the SB-5000 speedlight and WT-6A wireless interface. I want to start here because while it is the least right now offering, it is highly indicative that Nikon understands the marketplace demand for the sharing of images right freaking now, and also understands that prior efforts have been inconsistent from camera to camera with functionality, or lack thereof, all over the map. SnapBridge uses low energy Bluetooth to enable cameras with the technology built in to communicate to other devices using the industry standard short range networking technology that is so very easy to make work. I commend Nikon on this move because the WiFi model of entering SSIDs and passwords using little sticks and jog wheels is enough to make reasonable people start drinking early and heavily. Wifi tended to exhibit inconsistency when maintaining connectivity, Bluetooth is proven and just works. With SnapBridge pairing is a one time thing and a SnapBridge capable camera can be paired with up to five smart devices, ideal since most photographers have more than one smart device. You will be able to transmit your images to your smart device live and in real time so this will be ideal for use in studio and on location so editors, clients and others can see the images on a larger display without waiting. The SnapBridge application will allow for the embedding of information including copyright and text or logos. Note that SnapBridge is not pushing full RAW or even full JPEG images, it is sending 2MP JPEGs so the transmission will be fast and the images will be suitable for viewing but not editing as finals. Like existing WiFi based apps, SnapBridge will allow the remote control of SnapBridge capable cameras from the smart device in real time. Functionality will depend on the camera device of course. Nikon is adding a new service for customers called Nikon Image Space. It requires a Nikon ID and will offer unlimited storage for the 2MP images generated by SnapBridge, and users will be able to configure automatic upload of images to Nikon Image Space. SnapBridge will also allow for sharing to popular social media sites so images can be shared so long as a connection to the social media service is available from the smart device. I'm very glad that Nikon has stepped away from the complexity of WiFi and has standardized on a single application for SnapBridge. The smart device app will be available on the Apple AppStore and on GooglePlay. Nikon intends to offer SnapBridge as a built-in function to nearly all new cameras released in 2016 and the future. The first camera that will emerge with SnapBridge will be the D500 which is expected in March 2016. I'm not one of those people who feel the need to share everything, everywhere, all the time. I also spend negligible time on social media looking at pictures of people's lunches, so I couldn't care less about social media integration, but I'm not the buyer that Nikon is going after here. I do very much like the idea of fast, wireless image sharing in production, I just wish that there was an edit capability that would follow through. I suppose that is what WiFi is still for. Action cameras are still a strong business, albeit not as strong as two years ago when you couldn't find GoPro Blacks anywhere. Sony's ActionCam lineup is currently ruling the roost and there is investor concern for the future of GoPro now that their early lockup on the POV action camera space is gone. Nikon is entering the space with a 4K UHD capable device that shoots in a full 360 degree plane for video and stills. The KeyMission 360 is the first in this strata offering lenses and sensors on opposite sides of the device that work together to produce the 360 degree content. It is a ruggedized product that is also waterproof to approximately 30m. The camera will leverage Nikon's Vibration Reduction technology (VR) in playback mode to help address the effects of camera shake so common in action camera footage. Nikon is demonstrating "reference models" (call those near release models) at CES this week and expects to ship the first units sometime in Spring 2016. Think of this tech as an amalgam of Ricoh's Theta offering and a traditional ActionCam. I expect that the lenses will be excellent as will the sensor since Nikon is not afraid to go outside it's own doors to get the best sensor tech. While I use POV action cameras a fair bit, on the motorcycle, on my drone and for B roll footage in my little videography projects, I have not yet figured out the place for the 360 degree use. I'm not the target market here though and I expect that if the price point is right and the image quality is as good as Sony's, this could be a successful lineup for Nikon. I honestly cannot think of a product from Nikon as long awaited, rumoured and anticipated as the D500. The D300s had really been the top of Nikon's DX (crop sensor) lineup from a construction perspective and while cameras like the D7200 and D5500 surpassed its imaging capabilities, nothing in that space was built as tough. Canon proved that there is a current market for a prosumer crop sensor with their 7D Mark II and it's good to see Nikon arrive with a competitive offering. Folks have been expecting this for so long, no one is surprised it's called the D500 and not the oft rumoured D400 because it has been so long in coming. It also aligns numerically with the same day announcement of the D5 and SB5000. Five must be expected to be a lucky number for Nikon in 2016. Big steps in the D500 include the new Multi-CAM 20K autofocus system that offers 153 distinct AF points. That's a big jump from what we've seen in other DSLRs but do remember that the tech in Sony's a7 Mark II surpasses even that number. The number of distinct AF points means that there will be more flexibility in how photographer's use AF modes and might even get photographers like myself to step beyond choosing the single point lock / reframe mode of work. The D500 shoots video of course, and as expected does so at up to 4K UHD resolution at 30fps. The DX sensor is a brand new Nikon developed 20.9 CMOS sensor and the camera is powered by the brand new EXPEED 5 image processing system. I'm a bit surprised to see a lower resolution sensor than found in the DX D5500 but I expect that low noise performance will be improved due to the larger pixels. This is consistent with the thinking around pro grade cameras where low noise / high ISO performance typically overrides megapixel count as a delivered feature. The default ISO range is 100 to 51,200 and we know that Nikon can deliver at high ISO. What is really stunning is that you can push that even higher, up to the equivalent of ISO 1,640,000. I cannot wait to try that for sports in conjunction with the 200-500/5.6ED I am evaluating right now. In recent high school football championships my base ISO was 25,600 to get acceptable shutter speeds and exposures, so high ISO capability is definitely going to be important to many photographers. To keep up in demanding shooting environments, the internal buffer will hold up to 79 full resolution RAW images while the camera can push images into that buffer at up to 10 frames per second. That's not D4s or D5 level speed but it's definitely on par with cameras in the price range of the D500 and that enormous buffer is going to make some photographers very happy indeed. The camera uses the same 180K RGB metering system as the just announced D5 as well as the Advanced Scene Recognition System for improved exposure accuracy and consistency. The rear LCD is also beefed up, offering a 2.4M pixel display on the 3.2" LCD. The LCD has the same tilt capability as 2015's awesome D750. Like the D300s, the D500 is built tough. The top and bottom are magnesium monocoque and the front is reinforced with carbon fibre for a combination of toughness and low weight. As one would expect from a prosumer product, the shutter is rated for 200K actuations. There is no built in flash which increases the body durability but the D500 can work with the new radio frequency controls found in the same day announced SB-5000 when used with the WR-R10 and WR-A10 radio controllers. The D500 is weather sealed in the same way as the D810. From a storage perspective the D500 has two slots, one SDXC and one XQD. This demonstrates a continued move away from CF cards by Nikon. So far, only the D4s used XQD and to say that the storage mode had not taken the market by storm is an understatement. I commend Nikon on staying away from CFast 2.0 as a storage medium as the prices for those cards starts at outlandish and moves rapidly into criminally insane. Pro videographers hate CFast because of the cost and typically go to offboard SSD systems because they are so much less expensive. I will be interested to see if there is a way to drive images from the internal storage to one of Samsung's new SSD based pocket storage monsters. As noted before, the D500 is the first from Nikon to employ SnapBridge functionality but also includes built-in WiFi for flexibility. While WiFi is more of a pain, you can use it to push full res images, something not possible with SnapBridge. The D500 will also include NFC for binding to NFC capable smart devices. In addition, if higher performance wireless is needed, the WT-7A wireless transmitter will release at the same time as the camera. The D500 will ship in March 2016 with an MSRP of $2699.95 $CDN body only. That's pretty pricey but the weakened Canadian dollar is impacting the MSRP. Shipping at the same time will be the MB-D17 battery grip and the WT-7A. Pricing has not been announced as yet for these accessories. A replacement for the D300s has been waited for for so long by so many photographers I think that the D500 is going to be very hard to get when it first ships. Stores are happily taking preorders already. It strikes me as a lot of money for a DX body in a soft economy, particularly when so many pros are being impacted negatively. I personally think that the price is too high, but Nikon doesn't ask my opinion about product placement and because the darn things will probably sell out for the first couple of months, they'll be fine. I would expect to see a price drop in the first year though in order to make the sell up from the D7200 or cross brands more viable for more buyers. The 4K video is not surprising, but I did expect a little bit more frame latitude than just 30fps given what already ships on other 4K capable devices. Don't get me wrong, I'm very glad to see 4K, but we are going to determine pretty quickly that 4K at 30fps is the baseline for entry. While most of the conversations that I have seen around the announcements gravitate to the long awaited D500, I was personally waiting to see what Nikon would do with the D5. While I own a series of 1D Canons, and am presently shooting a D4s as part of a Nikon lens evaluation, I know, as do most pros, that 2016 is the year of the next pro camera sparring match between Canon and Nikon. A Canon 1Dx Mark II is expected this year, and Nikon has just set the bar with the D5. The D5 is Nikon's flagship. It will replace the proven and well loved D4s and provides a strong upgrade path for photographers who have held out upgrading and kept shooting their D3, D3x and D4 cameras. 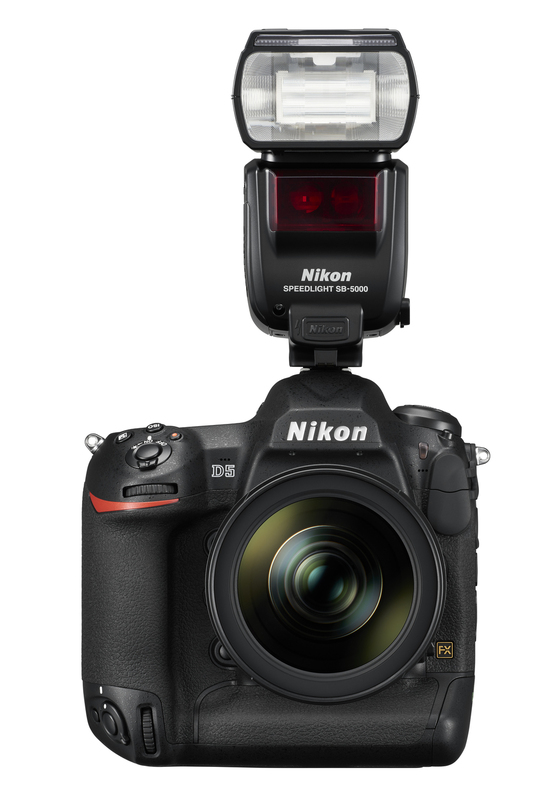 The D5 has a new, developed by Nikon, 20.8 CMOS sensor delivering FX (fuil frame) coverage. The camera has the new 153 point AF system as found in the D500 and the new 180K RGB metering system. That AF system means that wherever you look on screen, there's an AF point for you to use, a big shift from the center biased AF systems of the past. The camera takes video up to 4K UHD at 30fps. I shot a number of short videos for my friend Bryan Weiss' Daytripper Photo earlier in 2015 on the D4s and the results in FullHD were superb. I expect that the 4K will be excellent as well and look forward to trying that out when I can get my hands on the D5. Nikon has developed a new image processing system called EXPEED 5. Nikon cameras have a "look" and we can expect a high level of image consistency as well as improved sharpness and clarity. Like the D500, the D5 can leverage the vast pantheon of Nikkor lenses. The new AF system can see in the dark, with sensitivity down to EV -4, so it can see when you cannot. Of the 153 AF points, 99 are cross-type, capable of detecting focus in two separate planes. Continuous AF will offer zones of 153, 72 and 25 points for tracking moving subjects. Fifteen of the points will continue to drive AF with maximum apertures as small as f/8. Couple that with a default ISO range of 100 to 102,400 and you have incredible range. As they say on TV, but wait, there's more. Are you sitting down? The extended ISO range on the D5 is ISO 50 to ISO 3,280,000 That's NOT a typo. Over ISO three million! Suffice to say I cannot wait to see this and try it out. Moreover, the ISO range of ISO 3200 to ISO 12800 gets special treatment for image quality because of its constant use by professional sports photographers. The D5 retains the pro grade construction that we've seen for years including weather sealing. The UI has changed slightly and there is a brand new 3.2" 2.4M dot LCD with touchscreen capability. I will be interested to test that because I have not been much of a touchscreen fan being a left eyed shooter and having my nose make changes without my wanting. I was positively enamoured of the touchscreen on the D5500 so if the touchscreen on the D5 is at least that good, this could be a harbinger of basic function in all pro cameras in the future. The mirror and mirror box have been reengineered to near eliminate blackout time, critical to photographers shooting erratically moving subjects. The new shutter is rated for 400K actuations. The D5 still uses Nikon's powerful flash control system but can be expanded with the WR-R10 and WR-A10 wireless controllers to manage the new SB-5000 Speedlight via radio instead of Infrared. I am very glad to see radio controlled flash come native to Nikon. It's been a missing for a while and although the CLS system is excellent, it has been limited to line of sight and shorter range. Images will be stored on XQD cards, and the D5 offers two slots. I am VERY happy to see Nikon move away from the two tech structure in the D4s as I find two card slots of different architectures in the same camera to be a really frustrating way to work. Yes it will mean that photographers who don't already have XQD slots will need to buy new cards, but seriously at the price point of the D5, this should not be a show stopper. I am glad that Nikon chose to stick with XQD over going to CFast 2.0 which would have placed a significant cost burden on their customers. For customers adamant about CF, there will be a D5 version with two CF card slots. I like the idea of the offering but will be curious to see how the camera versions sell. It's 2016 and 4K video isn't exactly undemanding so I think we will see the XQD version start slow and then take over. The D5 also has gigabit ethernet built in and can push images at up to 400MBps for faster work. 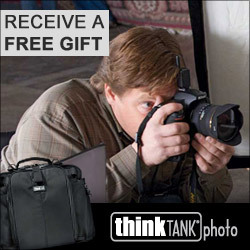 Now all Nikon and Adobe have to do is fix the busted tethering in Lightroom for this to make a difference. For clients wanting faster image transfer without wires, Nikon will be offering the WT-6A wireless transceiver with throughput of up to 130MBps over 802.11ac. There is a built in web server as we find on Canon's C300 series pro video cameras so you can remotely control the D5 via a web browser on the same network as the camera. I use this functionality more than I ever expected to on the C300 for one up video and look forward to trying it out on the D5. 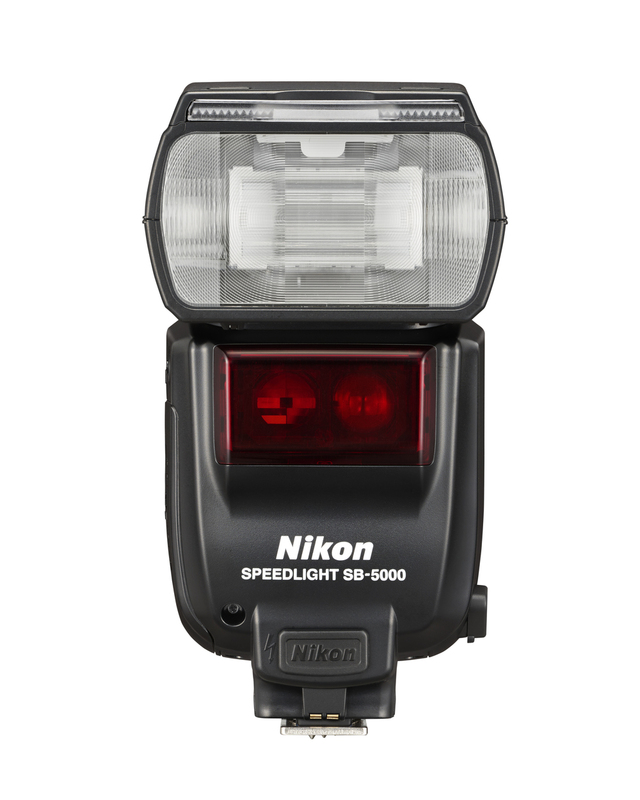 Announced at the same time is the SB-5000 Speedlight. This is a new flash for Nikon, their first remotely controllable by radio, similar to Canon's 600EX-RT. I'm very happy to see this from Nikon and the new system can be managed from the camera. By adding the WR-R10 on a D5 or D500, up to 18 SB-5000 Speedlights in up to six groups can be centrally managed. Support remains for optically controlled Nikon flashes in up to three groups when using an optical Speedlight or SU-800 controller to the D5. Adding the WR-R10 allows a mix of radio and optical units, a function missing from Canon's ST-E3-RT controller. The beaten Canadian dollar is not helping the MSRP of the D5 which is set at $8499.95 $CDN. In today's tough photography market, that's going to be a reach for beleaguered professionals but I suspect that the medical professionals who are photography aficionados will not hesitate too much. The D5 will ship in March 2016 so expect sales of the D4s to stop right about now as it's not likely that the old pro camera will be selling well with the new one so close, even with the steep price jump. I do give Nikon credit for keeping the time window between announce and ship relatively short. Hopefully they don't have to slip the ship date as Canon did with the 1Dx. The SB-5000 Speedlight will release at the same time at an MSRP of $769.95 $CDN That's also, in my opinion, a very high price for a Speedlight of useful but limited power. Canon started the 600 EX-RT at a very high price and it only really got legs under it when it dropped under the $500 mark. $770 is a lot of money for a Speedlight and there are also the as yet unpriced remote controls to consider. We will see how things go once these units start shipping but I am not optimistic that these are priced right initially. Nikon has time to reconsider if they so choose, it's their call of course.